Mention the words "Monitoring the Military," and most radio hobbyists will immediately think of military air shows, sporting event Military Aircraft Flybys or a whole host of other military activities they would like to hear on their radios. There is a big radio frequency spectrum out there to monitor, and if you know where to listen, you can eavesdrop on some of the coolest radio communications you will ever hear on a scanner or shortwave radio. Military communications monitoring is the one segment of the radio hobby that has exploded in growth in recent years and is getting more popular among the listening community every day. Larry Van Horn N5FPW, spent 15 years documenting activity in the military radio spectrum in his monthly Milcom column in the pages of Monitoring Times magazine. And now for the first time ever, he is publishing and making available all those columns here at Amazon in the Kindle E-Book format. Teak Publishing is pleased to announce the release of their latest Kindle e-books -- the first edition of the Milcom Files – Monitoring Times edition by Amazon Bestselling author Larry Van Horn, N5FPW. The Milcom Files edition one covers the 15 years of Military Communications (Milcom) columns that Larry wrote for the now defunct-Monitoring Times magazine from 1998-2013. Volume one (ASIN: B077NN7RQ5) of the Milcom Files covers columns published between 1998 to 2006. The column was bimonthly from September 1998 to November 2002, and monthly from January 2003 to December 2006. Volume two (ASIN: B077NQXH3C) covers columns published between 2007 to 2013. These columns were published monthly during this period. The MT Milcom columns documented the U.S. military conversion to narrowband LMR systems, the move from conventional to trunk radio systems, the 225-400 MHz band plan shift, including the new 380-400 MHz sub-band, and HF military frequencies, both foreign and US. This two-volume set of e-books has over 327,000 plus words, and nearly 1,000 pages of frequencies, call signs, and how-to style articles. Even though these columns were originally published from 1998-2013, you will find a lot of material that is still valid even today. All US military services, HF. VHF. 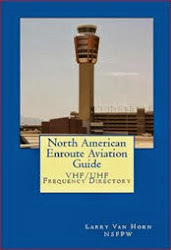 UHF, military satellites, FAA Air Route Traffic Control Center frequencies, base profiles, foreign military frequencies, airshow frequencies, equipment, and a lot more are included. Each column will be presented as it was published in MT in this e-book except for photographs. If you are interested in monitoring the military, own a scanner and/or shortwave radio, then the Milcom Files two volume set is a must reference on your radio shack shelf. Teak Publishing’s The Milcom Files Monitoring Times edition is now available for purchase worldwide from Amazon.com. Volume one is on Amazon at https://www.amazon.com/dp/B077NN7RQ5. Volume two is on Amazon at https://www.amazon.com/dp/B077NQXH3C. The price for each e-Book edition is US$7.99. This book is being released internationally. Amazon customers in the United Kingdom, Germany, France Spain, Italy, Japan, India, Canada, Brazil, Mexico and Australia can order the e-Book from Amazon websites directly servicing these countries. All other countries can use the regular Amazon.com website. You do not need to own a Kindle reader to read Amazon e-book publications. You can read any Kindle book with Amazon’s free reading apps. There are free Kindle reading apps for the Kindle Cloud Reader, Smartphones (iPhone, iTouch, Android, Windows Phone and Blackberry); computer platforms (Windows XP, Vista, 7 and 8 and Mac); Tablets (iPad, Android and Windows 8), and, of course, all the Kindle family of readers including the Kindle Fire series. A Kindle e-book allows you to buy your book once and read it anywhere. You can find additional details on these apps at this link on the Amazon website at www.amazon.com/gp/feature.html?ie=UTF8&docId=1000493771. For additional information on this and other Teak Publishing radio hobby books, monitor the company sponsored Internet blogs – The Military Monitoring Post (http://mt-milcom.blogspot.com/), The Btown Monitor Post (http://monitor-post.blogspot.com/) and The Shortwave Central (http://mt-shortwave.blogspot.com/) for availability of additional e-books that are currently in production. Information on other publications by the author is available on the author’s page at Amazon http://www.amazon.com/-/e/B00G1QMO4C. The New Year’s Eve Deadline is Near! ; New England Base Made the Changeover; National Capitol Region P25IP Trunk Systems; Fort Gordon UHF Trunk System; More Frequency Changes/Spectrum Holes Found; National Guard HF ALE Addresses Change; Tis the Season! Is the Cold War Really Over? ; UHF Milsatcom Pirates Still Active; UHF 225 380 MHz Milcom Spectrum Holes; 380-400 MHz Aero frequencies? Yes, there still are some! ; CAP Aircraft Radios to Upgrade for Encryption; Milair Nationwide Frequency Updates; A Good Friend Has Left Us. Monitoring Foreign Military and Civilian Air Show Teams; Canadian Flight and Parachute Demonstration Units; Civilian Air/Parachute Demonstration Teams; Civilian Flight Demonstration Teams and Air Show Companies; GMRS Frequencies; Family Radio Service and Intra-Squad Radio Frequencies; U.S. Civil Air Patrol Frequencies; Finally . . .